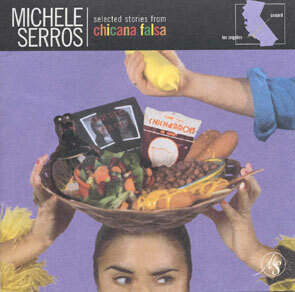 MICHELE SERROS is the author of How to Be a Chicana Role Model (2000, Riverhead Books, ISBN 1-57322-824-9 pbk) and Chicana Falsa, and Other Stories of Death, Identity and Oxnard (1998). 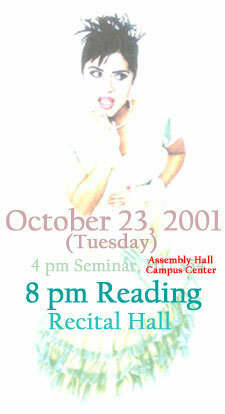 The Oxnard, California-born poet, fiction writer and storyteller is a fast-rising star, particularly in the southwestern United States where her books have found their way into many high school curriculums and college English and Chicano Studies courses. Her work explores, with wit and humor, the collision and exchange between Latino and Anglo cultures. An award-winning poet and commentator for National Public Radio (Morning Edition, Weekend All Things Considered), Serros has released a spoken-word CD (Mercury Records) and toured with Lollapalooza as one of their "Road Poets." She was selected by the Getty Research Institute and the Poetry Society of America to have her poetry placed on MTA buses throughout Los Angeles County and has been a featured contributor for the Los Angeles Times' children's fiction section. 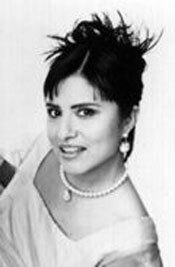 Serros' most recent book, How to be a Chicana Role Model (2000), is structured around 13 rules for success, beginning with Rule Number 1: Never Give Up An Opportunity to Eat for Free, and ending with Rule Number 13: Answer All Fan Mail. Serros credits her own beginnings as a writer, in part, to a letter of despair she wrote to children's author Judy Blume when she was 11 years old. Blume answered on personalized stationery in a hot pink felt tip marker, and encouraged Serros to keep a journal of her thoughts and feelings--something she has been doing ever since. 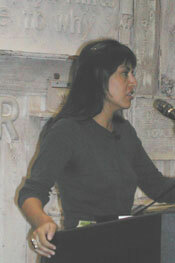 In 1999, Serros appeared in the "Women to Watch" feature of Newsweek's millennial issue. Currently living in New York City, Michele Serros is writing a young adult novel, Notes for a Medium Brown Girl. When I mailed a short story to Seventeen Magazine titled "One of the Guys," I thought, "This is the beginning." Oh God, I hate to admit this. . .but I write when there is absolutely nothing else on TV. I'm definitely not a "bow to the four directions of the earth" type of Chicana writer. WHAT IS THE DIFFERENCE BETWEEN THE PRINTED WORD AND RECORDED AUDIO TO YOU? IS THERE A DIFFERENCE? 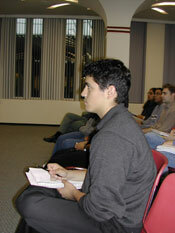 I hate talking about poetry and prose--it brings up my C-days in high school English.